pampas2palms: Let's hear it for google! Let's hear it for google! On my regular running route, my eye was caught the other day by a pretty blue pea-like flower that I had not noticed before. it was particularly noticeable as the blue flowers were nicely contrasted by the orange tree through which it was scrambling. Not a manicured garden and I very much doubt this little pair were ever planted for their companionship. I whipped out my iPhone and took some pictures. Another new plant to me without a name! 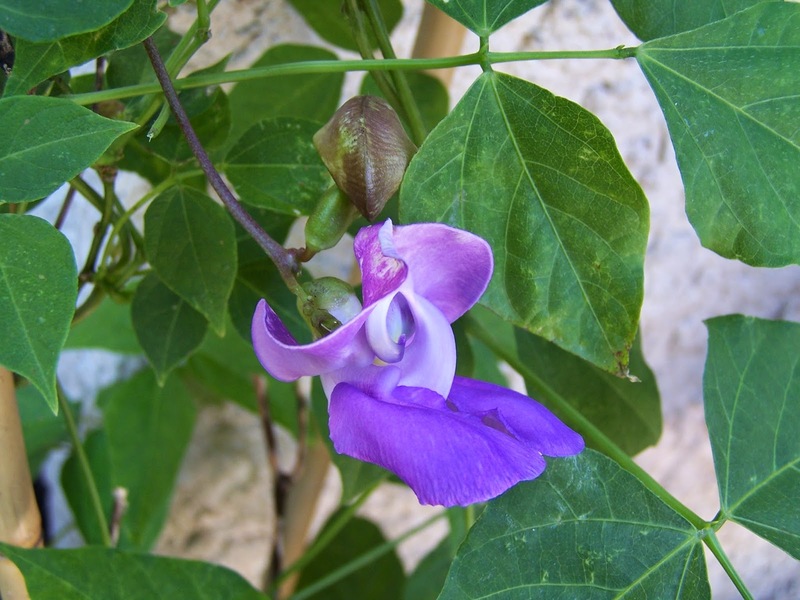 Back home I typed 'blue, pea-like climber, California' into google and it dutifully spat back a series of possibilities. After a few false forays and dead ends, it came up with Phaseolus giganteus, the snail vine - isn't google wonderful. I wonder how long before we will be able to feed a picture of a flower into a computer program and like facial recognition, it will churn out a name for us? I then went to my other great friend Wikipedia and found that this originates from South America and was a favourite of Thomas Jefferson. Although plants and seeds are available, it is said to be invasive. 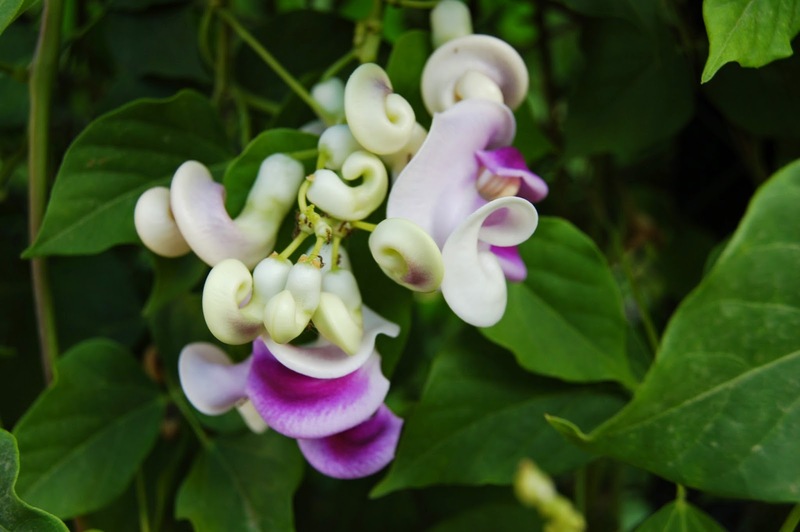 It is often confused with Cochliasanthus caracalla, another member of the pea family, also called the snail vine, which as you can see below, has some similarities! I've heard of those Snail Vine plants...very good! Yes, before long, we will be able to feed plant photos into some app to tell us what it is...already doing it with music.